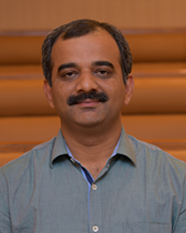 Krishna is an Associate Professor with the Strategic Management Area at IIM Lucknow. He pursued his Fellow programme in Management at Indian Institute of Management Indore before joining IIM Lucknow. The AIB Foundation and Sheth Foundation travel award from the Academy of International Business (AIB) Doctoral Stipend Program to attend the 2013 AIB annual conference. The Organization and Management Theory division, Academy of Management travel scholarship to participate in research development workshop. Awarded Commonwealth split-site doctoral scholarship by Commonwealth Scholarship Commission, UK to study one year of PhD at Cambridge Judge Business School, University of Cambridge, UK.